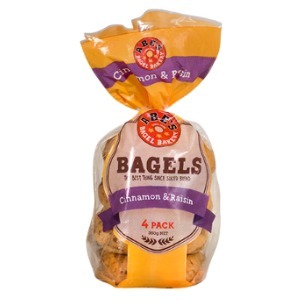 Abe’s steam baked Cinnamon & Raisin Bagels were born out of an admiration for this classic sweet and spicy taste combo. They have the spice of a hot cross bun but with the density and texture of a freshly baked bagel. Perfect on its own or toasted with a knob of melted butter or honey on top, these will warm your cockles on a cold winter morning.